Create a task bar docky for AmiDock that displays the current tasks that are active on the current screen. 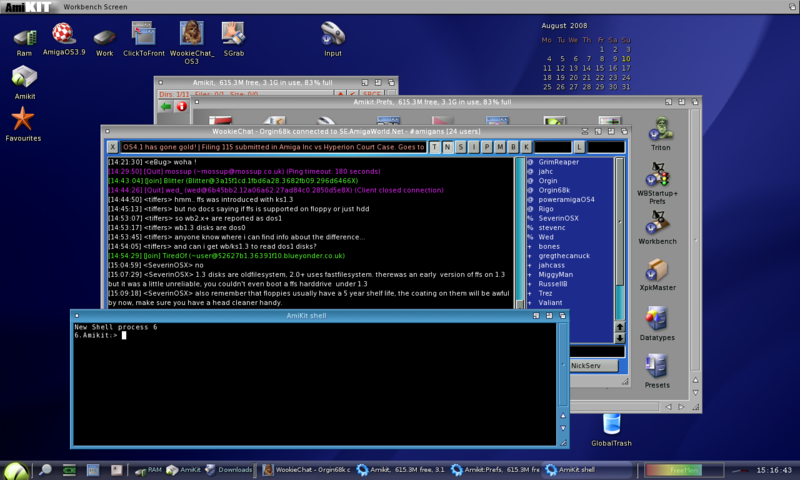 Description: The task bar shall display the current tasks that are active on the screen that the docky is located. A comparable function is the "Task Display" of AmiStart. The function of the "Access" docky is similar but is not displayed the same way. 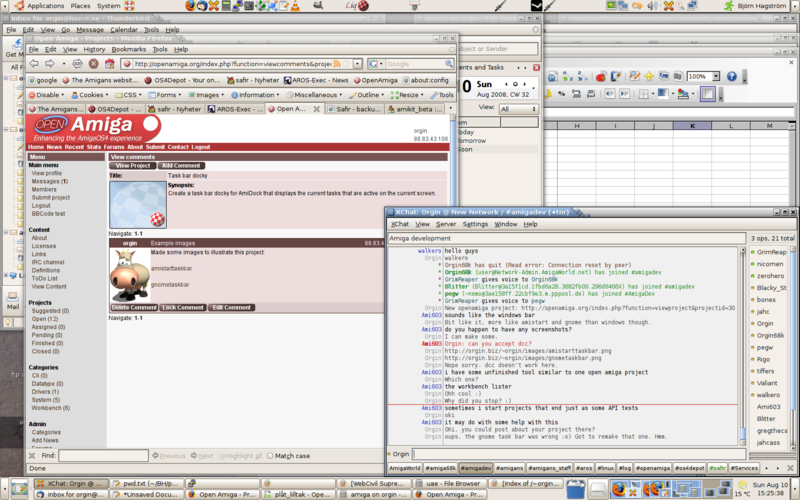 Task bar, the whole displayed docky, containing none, one or more Bars. - Each screen window shall be displayed as a clickable Bar in the docky. - Each Bar shall have an icon representing the window the bar is associated with. - The width of individual bars shall automatically all shrink to fit when they can't all fit in the docky. - It shall be possible to specify a height that all Bars will use. - The icons shall be scaled to fit the specified height of a Bar. - It shall be possible to turn bar icons on and off. - It shall be configurable if the Bar icon is displayed to the left or right of the window title. - It shall be configurable if the window title text is displayed or not. - It shall be possible to specify a background texture for the Bars. With different textures for active window and not active window. - It shall be possible to specify a background color for the Bars. With different colors for active window and not active window. - The default Task bar background shall be the same as the one defined by AmiDock. - Each bar shall have a user definable border that is different depending on if it's the active window or not.